SBS has issued a legal letter to a group protesting the planned broadcast of the Eurovision Song Contest in Israel, after it misappropriated the network’s logo. A petition has over 1,800 signatures. SBS sent a legal letter saying they must “immediately remove SBS’s trademark from any of your websites, social media pages and any other marketing and promotional material”. “As is common practice for organisations managing and protecting their brand, SBS is in contact with this organisation about their unauthorised use of the SBS logo,” a spokeswoman told Guardian Australia. Earlier this year Greens Senator Lee Rhiannon quizzed then-SBS managing director Michael Ebeid about issues surrounding the event held in Israel and whether SBS would proceed. “The whole point of Eurovision is to forget politics, forget all of that and unite communities and countries together in the spirit of song, in the spirit of celebration, in the spirit of culture. It transcends things you’re talking about,” he replied. 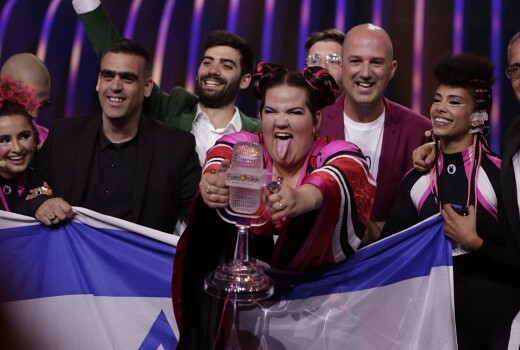 Pro Palestinian activist group protests about Eurovision, what’s the world coming to? It’s only a music show. It has always been political.